Lock in a great price for Lotte Hotel World – rated 8.4 by recent guests! The Staff and facilities around. Alot of activities for kids are near hotel. Our stay overall was nice . The room was a good size and the beds were comfortable . The location of the hotel near Disney, tower and a huge mall. You have everything in one place - shopping, entertainment, restaurants, sport activities as well as a metro station. Location was awesome with many entertainment for the kids. Check in staff was helpful and extremely polite. The staff’s service were exemplary, with special mention to the concierge Mr Hwansuk Jang and Mr Stanley Kang. My daughter fell seriously ill on the day where we were supposed to check out. Mr Jang accompanied us to the hospital and back. He also arranged to extend our check out time in order for my daughter to have sufficient rest before our flight. For that, my family is extremely grateful to the Lotte World Hotel team for their care and support. Helpful and professional staff, clean, and comfortable. Excellent place! Everything, especially ALL the staff. Had some good short conversations with some also. Very top notch. Loved the interconnectedness with everything around the hotel site. Lotte Hotel World This rating is a reflection of how the property compares to the industry standard when it comes to price, facilities and services available. It's based on a self-evaluation by the property. Use this rating to help choose your stay! 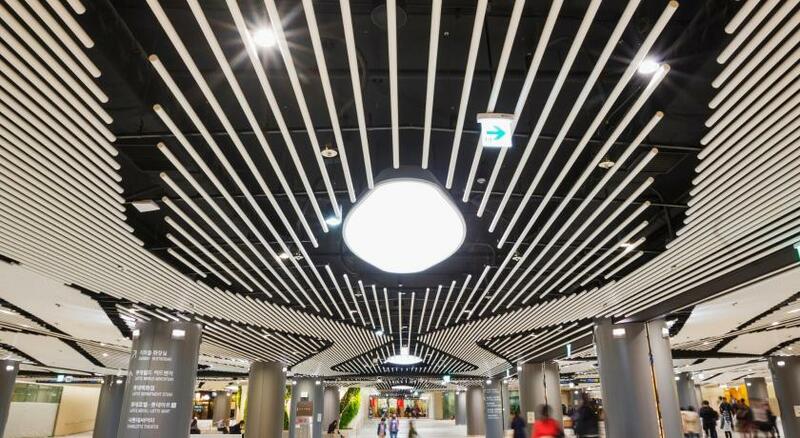 One of our top picks in Seoul.Located beside the world's largest amusement park, 5-star Lotte Hotel sits atop Jamsil Subway Station (Lines 2 and 8). It features a well-equipped fitness center, indoor swimming pool and 3 dining options.Free WiFi and free parking are available. Boasting 37-inch flat-screen TVs, spacious rooms offer the comfort of an armchair, over-sized windows and carpeted floors. Private bathrooms come with a hairdryer and premium toiletries. For leisure, guests have the use of an indoor golf range, sauna facilities and a salon. Staff can attend to business and childcare needs. 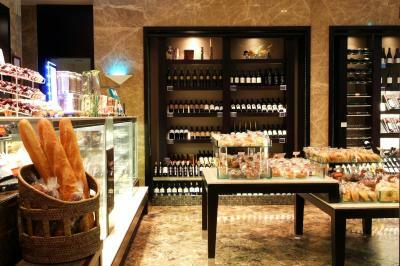 Toh Lim offers delicious Chinese cuisine, while guests are spoiled for choice at the buffet restaurant, La Seine. There is also a deli and German brewery. Centrally located in Gangnam's business district, Lotte Hotel World offers free shuttles to Itaewon shopping district and Lotte Hotel Seoul. The property has free parking. Songpa-Gu is a great choice for travelers interested in friendly locals, culture and sightseeing. When would you like to stay at Lotte Hotel World? Stylish and modern, this air-conditioned room offers views of the city. It includes a 37-inch flat-screen TV, a personal safe and tea/coffee-making facilities. Free bottled water and 24-hour free internet access are provided. The private bathroom has a shower. Please indicate at time of booking if you would like Double or Twin bedding. The club double and twin rooms feature a comfortable armchair, Molton Brown toiletries and Club Lounge benefits including free breakfast and refreshments. Please note that children under the age of 4 cannot be accommodated in this room type. Extra charges apply when accompanied by children between ages of 5 and 12. Brightly furnished themed room has a sofa at the seating area. Stylish and modern, this air-conditioned room enjoys views of the city. Includes a 37-inch flat-screen TV, a personal safe and tea/coffee making facilities. Free bottled water and 24-hour free internet access are provided. Private bathroom has a shower. Complimentary breakfast is provided for up to 2 guests. Spacious and modern, this air-conditioned room has one queen bed and 1 single bed. Each is fitted with a 37-inch flat-screen TV, a personal safe and tea/coffee-making facilities. Free bottled water and 24-hour free internet access are provided. The private bathroom has a shower. This special offer includes 2 entrance tickets to Lotte World Aquarium per stay. This triple room has a flat-screen TV, electric kettle and mini-bar. 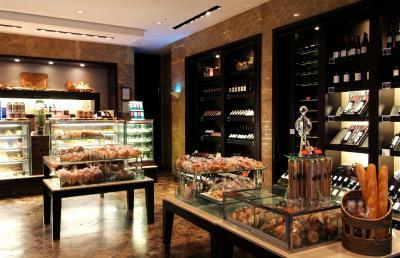 Lotte Hotel World is located the center of the south of Seoul, providing easy downtown access and convenience. 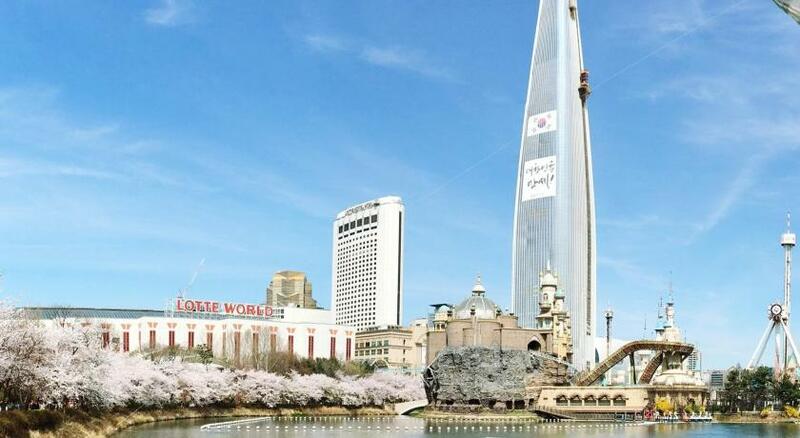 Lotte Hotel World, a resort-type business hotel, is directly connected to the beautiful Seokchon Lake and the Lotte World Adventure. Hotel surroundings – This neighborhood is a great choice for travelers interested in friendly locals, culture and sightseeing – Check location Great location - show map Guests loved walking around the neighborhood! House Rules Lotte Hotel World takes special requests – add in the next step! Lotte Hotel World accepts these cards and reserves the right to temporarily hold an amount prior to arrival. The hotel may pre-authorize your credit card upon booking. Payment has to be made upon arrival. Please note that the indoor swimming pool, sauna and fitness club are closed every last Monday of each month. Location around 30 minitues away from city attractions. Breakfast was very limited for a vegetarian or vegan diet. Clean carpets would be a start. The hotel was tired and run down particularly for the price and star rating. Staff were helpful and polite but this didn't make up for the disappointment of a small run down room.